I hiked up to Eagle's Nest yesterday along the Douglas Trail. I've become a bit of a plant nerd and enjoy not only the beauty of the forest, river, hills and views, but also I like identifying plants along the way. The wild flowers are gone, but there is always something interesting to see. Sometimes you find something rare and unusual; it's like going on a plant safari. I think this is Canadian/American Yew, an ice age remnant, rarely found this far south. 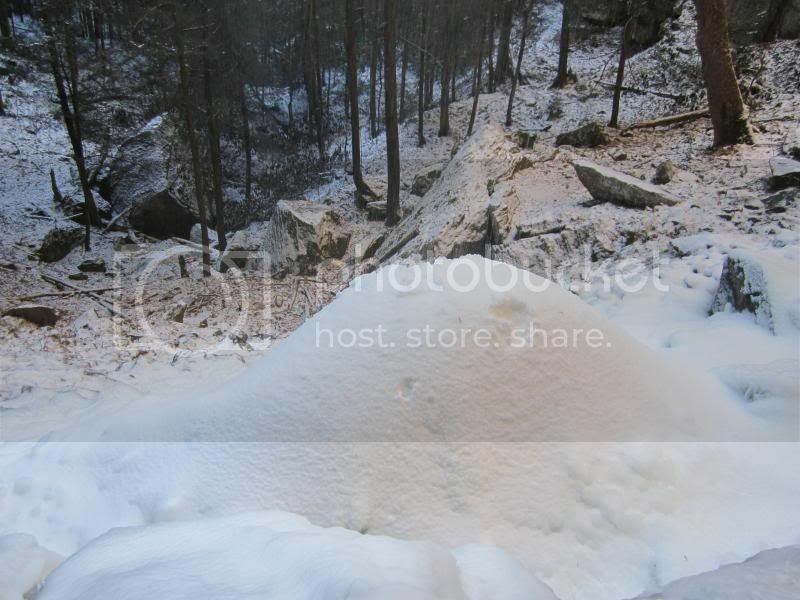 Ice pile at the bottom of the falls, maybe 8 feet tall and twice as wide. 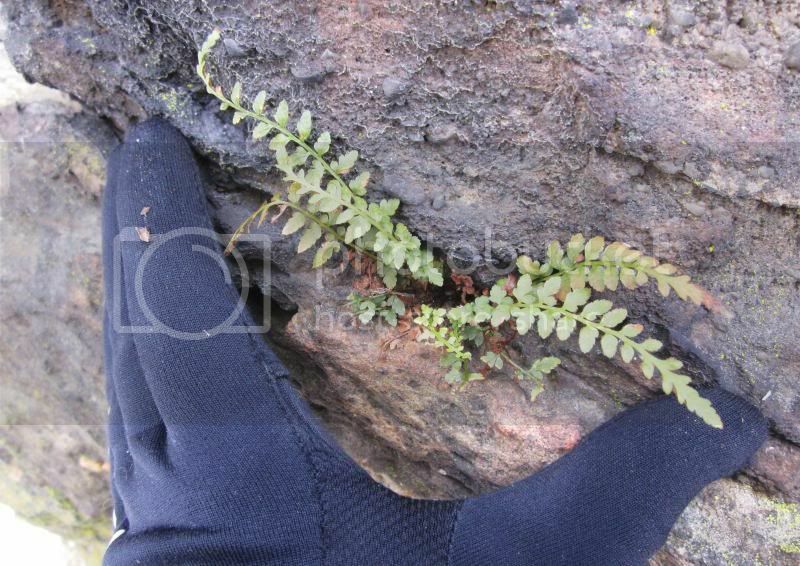 These small ferns (Bradley Spleenworts) are attached to the cracks in the sandstone rock. They are relatively uncommon. 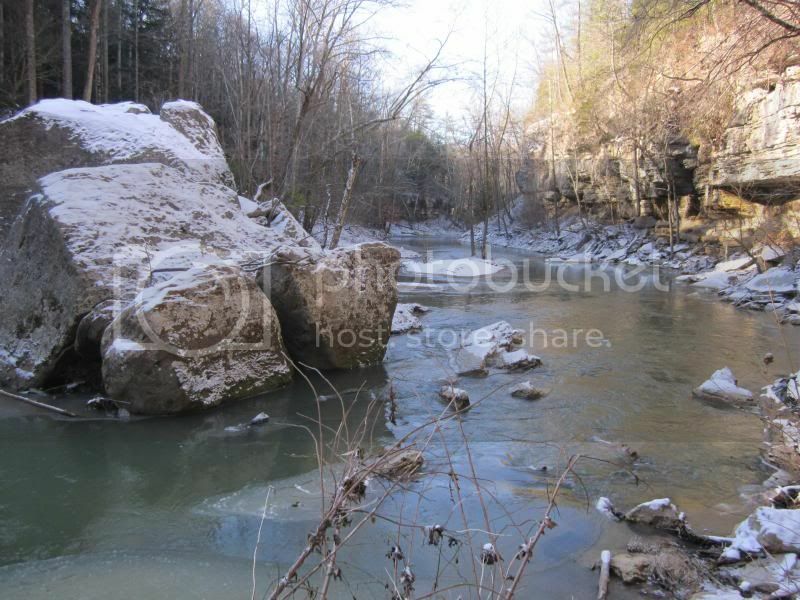 With the cold temperatures, the ice will continue to form and make for some great ice formations. Get out and enjoy. Copper creek...Thanks for the pictures and the trail report. Sitting here in Colorado wondering what the Gorge looked like with the snow reports I have been seeing on the news lately. I miss that area! A bad day backpacking is better than a good day at work! 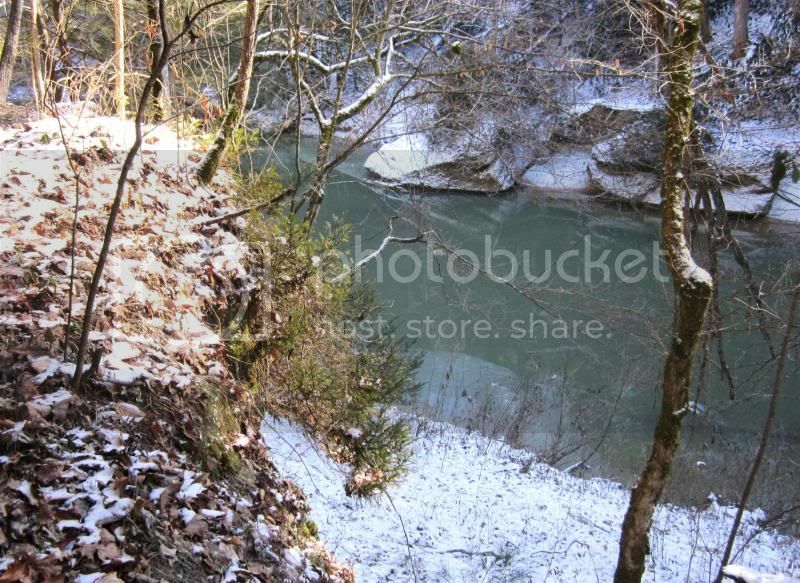 Thanks, love the pictures of snow in the gorge. Is the waterfall there seasonal? I went up there on 9/20/13 didn't see them. 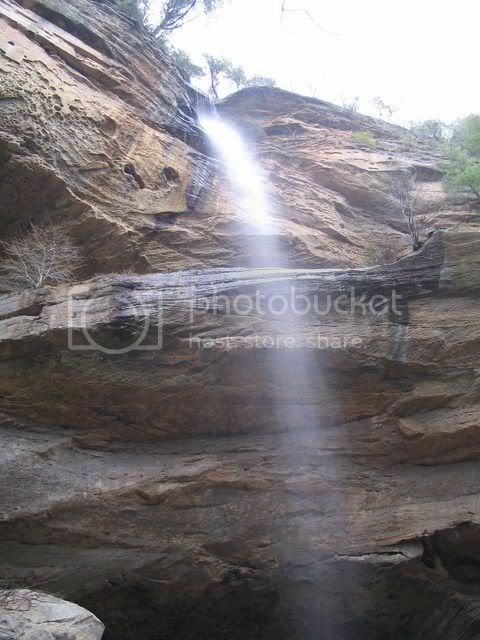 Are the falls are in the big "V" shaped gouge that you go through to get to the top or are they somewhere else? (Pm is fine if you prefer). Here is a picture I took from the top in September. 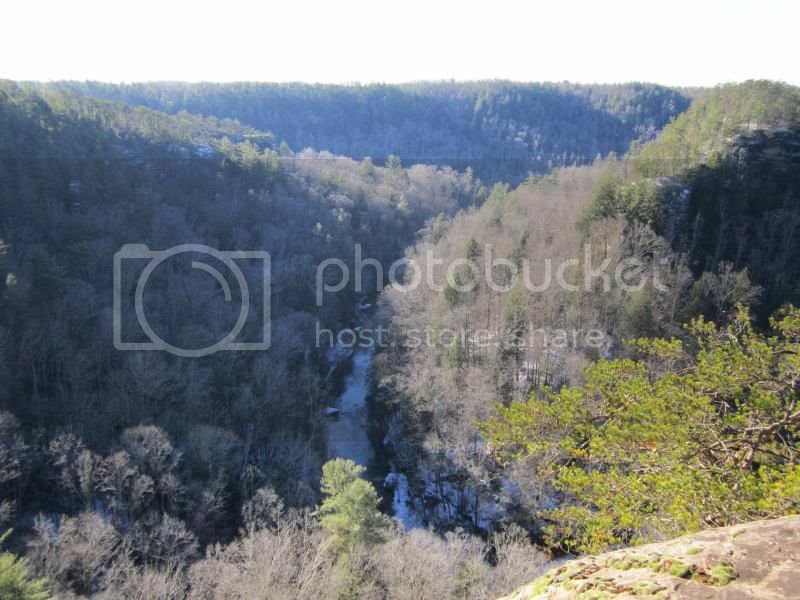 Don't mean to steal your thread but I enjoy seeing the same overlook in different seasons. Yes the falls are a wet weather falls and your location is correct. Here is a picture from Spring a few years back. 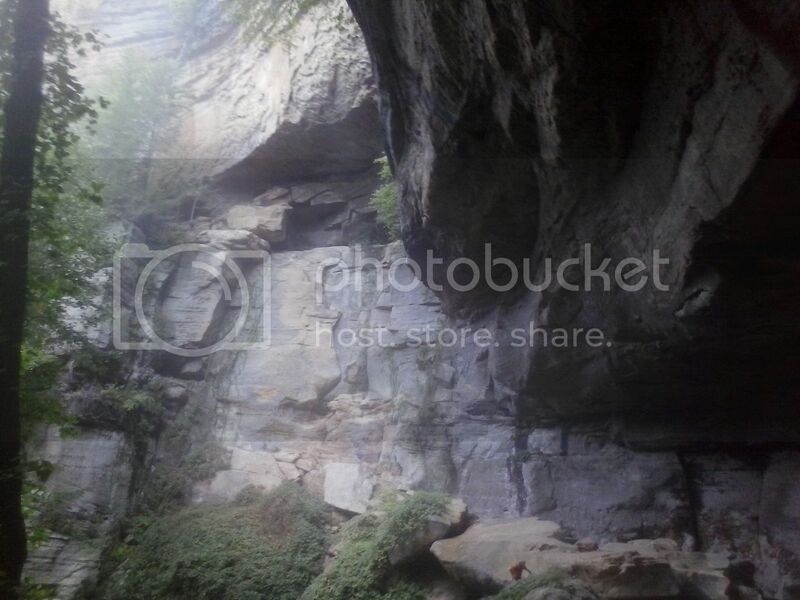 Went to the gorge 01/04/2014. Hiked out to Silvermine Arch. Lots of icicles behind the arch. Beautiful day with all the snow. Awesome pictures everybody. Great to see so many people out there enjoying the Gorge! Have to check the date but I was probably up there the same day. Hiked Douglas, up the left side of the buttress, across the top of the cliffs and then down the right side through the big amphitheater and out.